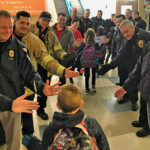 As part of that effort, members of the community were invited to join a “Kindness Tunnel,” a human tunnel giving high-fives and fist bumps students as they entered the building. 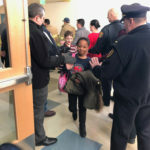 EFS greeted students with a tunnel last Thursday, 1/31, and Wood School held theirs on Friday, 2/1. 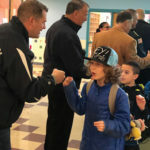 According to its website, The Great Kindness Challenge is a “proactive and positive bullying prevention initiative that improves school climate and increases student engagement. It is one week of students perform­ing as many acts of kindness as possible on campus. The program provides a checklist of 50 challenges for students in dif­ferent grades to complete. 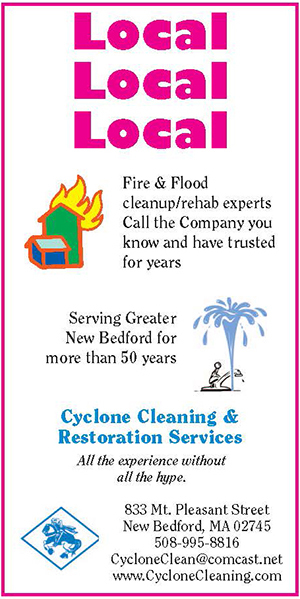 In Fairhaven. 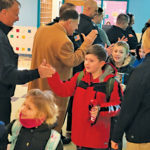 students collected gloves, mittens, socks, and hats for the New Bedford Homeless Advocates; created compli­ment cards for their buddies; collected money for Kind Coins for Liberia; EFS students made posters for the Wood School and decorated their halls with them. 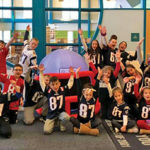 Students at the Wood School in Fairhaven show their support for New England Patriots player Rob “Gronk” Gronkowski before the big game on Friday, 2/1/19. Submitted photo. #11 NEVER gives up! 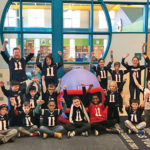 Students (and a couple of adults) at the Wood School in Fairhaven show their support for New England Patriots player Julian Edelman before the big game on Friday, 2/1/19. Submitted photo. 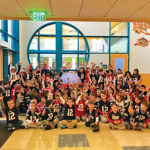 Students at the Wood School in Fairhaven show their support for New England Patriots quarterback Tom Brady, TB12, before the big game on Friday, 2/1/19. Submitted photo. Members of the community create a Kindness Tunnel to greet children at the Wood School in Fairhaven on 2/1/19 as part of The Great Kindness Challenge. Submitted photo. Members of the community create a Kindness Tunnel to greet children at the Wood school on 2/1/19 as part of The Great Kindness Challenge. Submitted photo. Members of the community create a Kindness Tunnel to greet children at the East Fairhaven school on 1/31/19 as part of The Great Kindness Challenge. Submitted photo.